I would also like to take this opportunity to thank our resident translators, editors and also our pool of talented fanfic writers because you made our shipper's life more enjoyable! I won't make this long any further because you may get bored, but again continue to spread the MinShin Love. Have faith in our couple and always have them in your prayers. 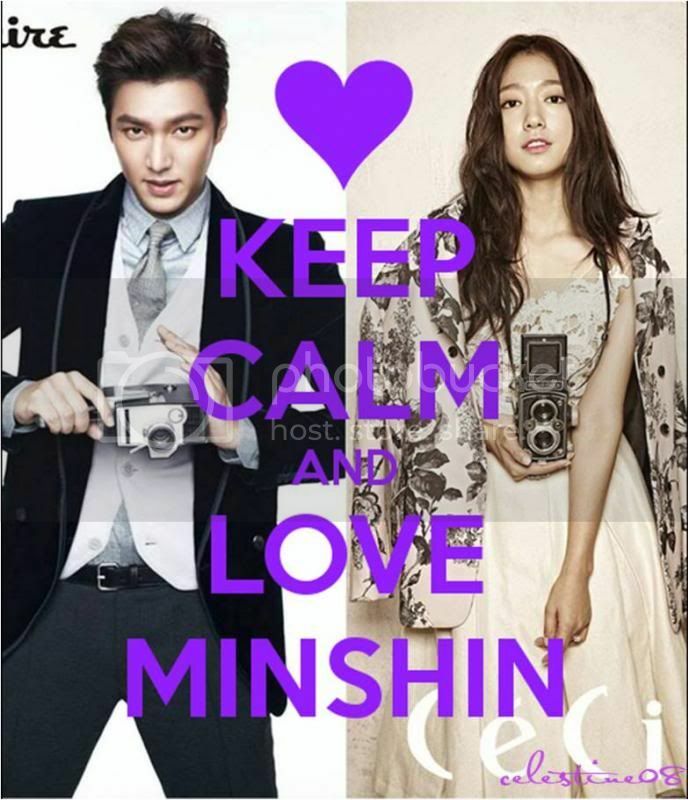 And always remember, MINSHIN IS REAL! 300%!!! So, I'll be leaving you with this pic of mine, I know it's old, but I always keep this in my mind at all times! YEHEY! SOO HAPPY TO BE IN OUR SECOND THREAD!!! 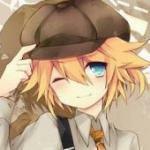 Aaaahhhhh I'm so late for last night party..! U guys left me behind. Wae? Wae? Anyway, CONGRATULATIONS to us, MINSHINERS. Yaaaayyyy we've made it. THANKS to all moderators, immortals, legends, superstars, idols.. U guys are awesome. Great job! Not forgotten, new shippers. Welcome aboard. We love and missing both of u.
Ps: super excited to see our bb boy in just a couple hours!! Thank you for the warm welcome especially to @itybittykitty - love your gif. Uri couple have great chemistry even during Etude CFs; also to @kiklamino - wow "firstborn for the 2nd thread" love that. And to @meridian - love your insights always. This is my first time to ship a KCouple and I'm glad that I belong to the 300% REAL one. 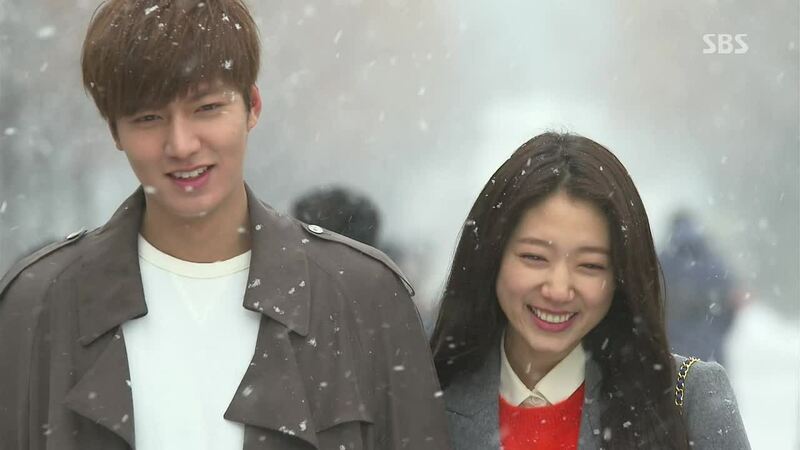 The Heirs is the second Korean drama that I've seen and oh boy I can't stop rewatching it. MinShin - there is something unique and special about them. I don't know how to described it. The first Korean drama that I saw several years ago was Stairway to Heaven DVD, that's where Park Shin Hye made an impression on me. Not knowing that its her first acting job. She was really good even at a young age. After watching Heirs, I also saw Heartstrings, You Are Beautiful and Flower Boy Next Door because of PSH. So as you can see I love her so much. With regards to LMH, who will not be mesmerized with his good looks? OMG!!! He is perfect. Need I say more..... I also saw Personal Taste and of course Boys Over Flowers.....now I am totally hooked. I can not bear to watch CityHunter. I just can't do it. Period. But in all these - HEIRS is still D BEST of all. That's why I am proud to be a MinShinner. It is still a long journey for us but I am excited coz I know, I can see it, I can feel it .....LOVE IS IN THE AIR FOR OUR URI BOY AND URI GIRL!!!! Sorry my post is too long. "...just ripped that lace LMHssi..."
How come you came up with this idea munchkin? hahaha, I caught you red handed chingu. - Meanwhile ,I am waiting for LMH 's appearance after long time no see. dont you get the feeling that one of the rings PSH is wearing in her last up close pic is the same design that LMH has been worn in one of his photos too? Usually ,I am not a person who pays attention in couple items but I feel like I saw that ring (i m talking about the widest of the 3 she wears). s link @Mosquito, @gentellily,@ ravy and all MinShinners who made sure that we all got informed. welcome aboard minshinners to this 2nd thread!!!!! Way to go...yahoooooo!!!!!!! The back and Forth sway of his body. When a guy rocks back and forth his body, including his foot, he’s having a mama’s-boy moment, our body language experts agree. The front-to-back sway is typically a comforting motion mimicking being rocked in the mother’s womb, it indicates happiness. So if you are around, it could mean that you are one of the reasons he is full of joy and happiness. Swaying your entire body or just swinging your foot is an ‘intention movement,’ where his body starts to do what his brain would like it to do. Not even forget the legs and feet are an important source of information about someone’s attitude because most people are unaware of what they are doing with them and never consider faking gestures with them in the way that they would with their face.